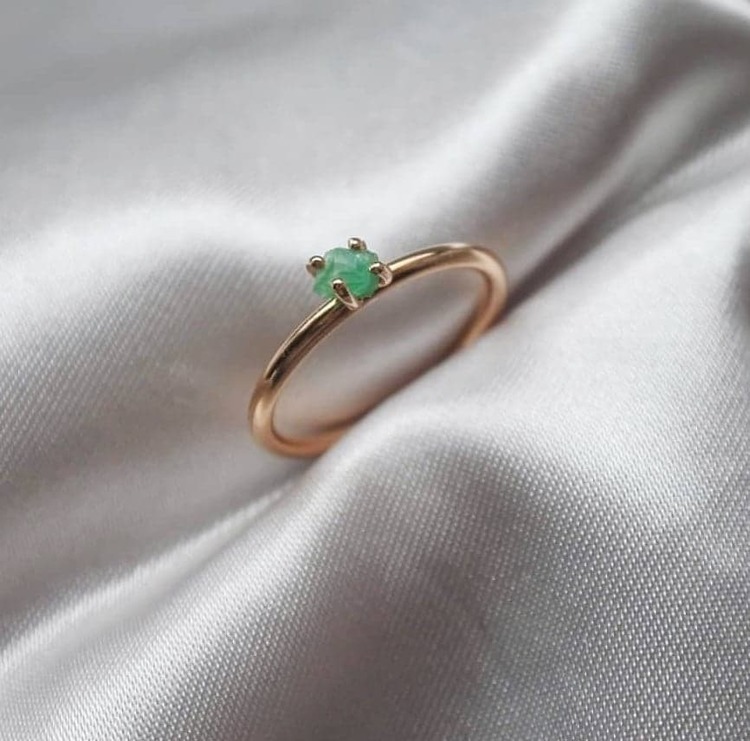 The ring is made in 18K gold red (swedish standard) with a raw emerald crystal found in minnesund, Norway. Height & width of the ring is ca 1,5x1,5mm. The ring has a round profile. The size of the raw emerald is ca 3mm. 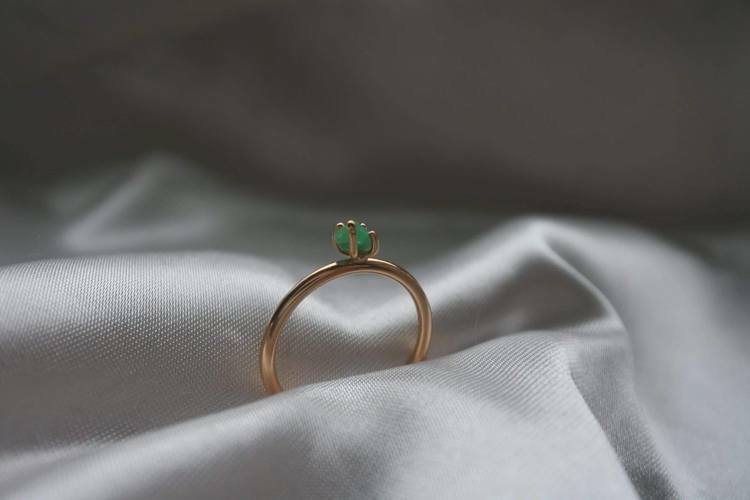 This ring is one of a kind in size 51. Do you have another size and want it? E-mail me and we will try to solve it. 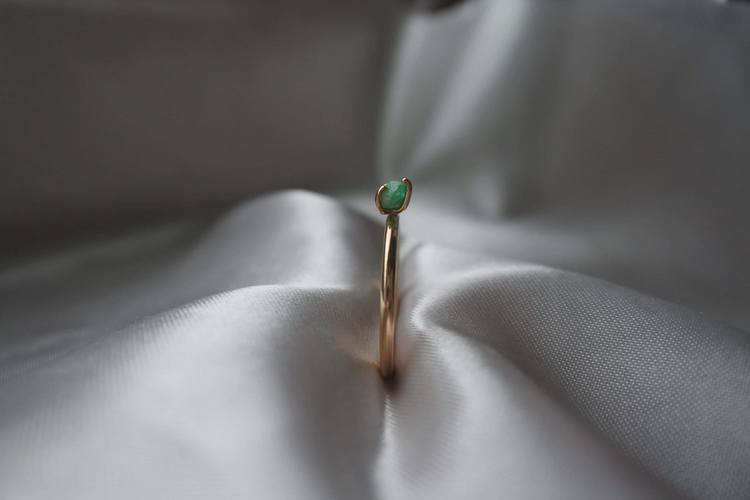 This piece of jewelry is made in Sweden with recycled gold & a Norwegian emerald. This ring is in stock and ready to be delivered. The sizes on this ring is 51. E-mail me if you want a similar one in a different size.